For urgent assistance with your South African residency application, please call or e-mail us today! Since the release of the White Paper for International Migration in South Africa, it may be worthwhile to take into consideration in applying for Permanent Residency to those who wish to apply for same in the future. In accordance to the Immigration Act 2012, as amended, one may qualify and apply for Permanent Residency in terms of Sections 26 and 27 of the Act. Section 26 applies to those who have held a work permit for a period of minimum five (5) years and/or are spouses and/or dependents of South African Citizens. Section 27 applies thus (but not limited to) to those who qualify for Permanent Residency on other grounds such as for holders of exceptional skills, those who wish to establish a business in South Africa and are financially independent. Referring to Chapter eight, “Management of residency and naturalisation” within the White Paper, it proposes that a new visa regime be implemented whereby permanent residency is to be replaced with longer term visas. These visas may then be extended in the categories that include the holders of critical skills, business, relative’s visas, including students graduating in critical skills occupations. 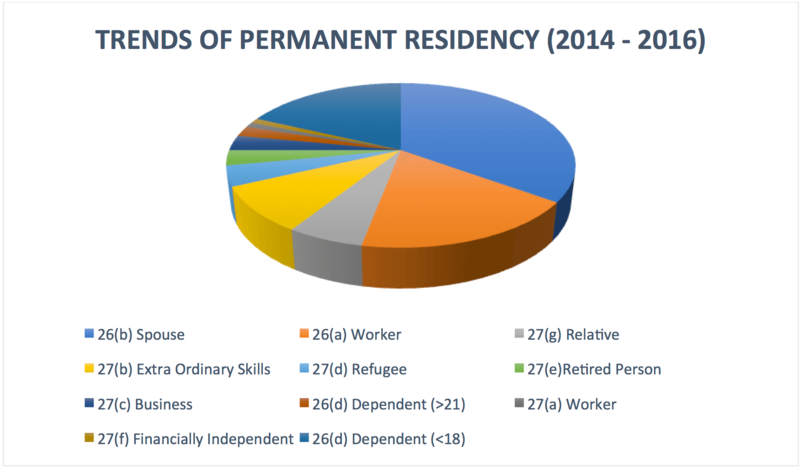 Accordingly, the abovementioned Sections as indicated in paragraph two would no longer be in affect and a ‘point-based system’ will be put in place which will monitor on whether a person may qualify for short- or long term residency, as the process of residency and citizenship will deemed to be delinked. it proposes that a new visa regime be implemented whereby permanent residency is to be replaced with longer term visas. These visas may then be extended in the categories that include the holders of critical skills, business, relative’s visas, including students graduating in critical skills occupations. Furthermore, those who wish to sojourn in the Republic on a permanent basis, may need to take into consideration the proposed amendments to be made and apply for such residency before the conclusion of the final White Paper within a few years’ time. Please note the proposals contained in the newly released White Paper have not yet been concluded and is currently still open for public commentary . To view a copy of the acclaimed White Paper, click here. 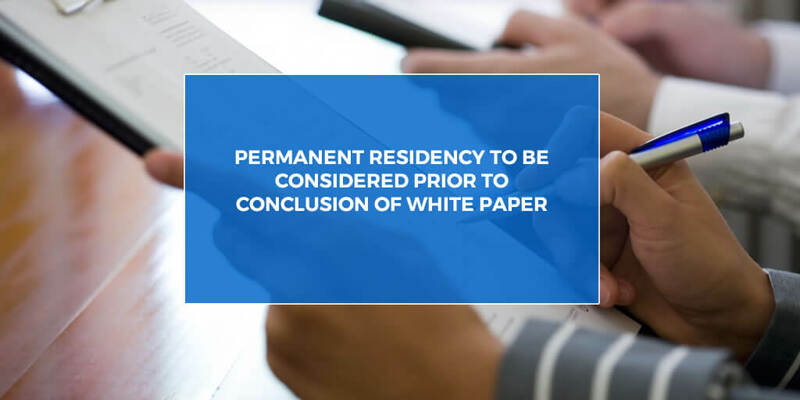 Taken the possible changes and uncertainties surrounding the changes proposed in the current whitepaper, it may be advisable to secure permanent residency before these changes take effect. Should you wish to apply for residency, please feel free to contact us for a qualifying assessment.